Nutritionally goat meat is healthier than mutton as it is lower in fat and cholesterol, and comparable to chicken. It also has more minerals than chicken, and is lower in total unsaturated fats than other meats. One reason for the leanness is that goats do not accumulate fat deposits or “marbling” in their muscles. 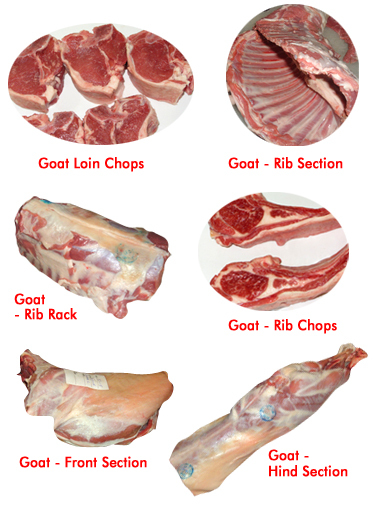 Ideally goat meat must be cooked longer and at lower temperatures than other red meats. It can be prepared in a variety of ways including stewed, curried, baked grilled, barbecued, minced or canned. In India, the rice preparation of mutton biryani uses goat meat as it’s primary ingredients to produce a rich taste.